Institute for Digital Government attended the third annual Prague European Summit, which was held on 13th – 15th June 2017 in the exceptional premises of the Lobkowicz and Czernin Palace. The summit covered many challenges and concerns that Europe faces nowadays. The European Union member states have coped with both internal political struggles and external challenges in their neighbourhood and beyond. The Prague European Summit brought together key actors from the EU, from state to private actors, from politicians to journalists. The summit ignited open and strategic discussions on the current EU topics and its future. Digital revolution is one of the key sources of economic growth for the EU. Digital technologies are inspiring new business models, transforming traditional industries, facilitating creative start-ups and changing the ways we live and work. The EU needs a regulatory framework that fosters innovation and creates an entrepreneurial environment, while setting protection for its citizens. How do we achieve an EU regulatory environment that is simple and harmonized in order to get the maximal benefits? In this context, the speakers from the panel shared what, in their opinion, would be the most suitable approach to a more digital Europe. How can we best contribute to truly completing the Digital Single Market? This was a recurrent question during the debate, to which the speakers had similar answers, however with different approaches. Ondřej Malý suggested that we should focus more on the offline environment as well, not only the online. For instance, transportation still raises problems for an order placed online. Taavi Roivas pointed out the inconsistency of the regulatory system of the 28 member states, saying that in order to launch a business one has to deal with 28 different regulations. Roivas sees a solution in syncing all public services across the EU. Sarah Vormsby brought into discussion the security issue, which the EU cannot ignore, without which the Digital Single Market would not work. Data and consumer protection are the main challenges of achieving DSM. Jaanika Merilo highlighted the importance of good use of big data, where connecting databases will bring united ID cards and thus facilitating the access to public services. In Václav Mach’s opinion, we are dealing with the 4th industrial revolution, where the DSM is one of the initiatives to bring benefits to the people. In order to overcome the security challenges, we have to find a common ground between government and industries, all in the interest of citizens. Moreover, security technologies should work worldwide, with standards that apply everywhere. In a knowledge-based economy more creative products and services are being developed. What needs to be done to unlock the potential of Digital Economy? How can we create an environment that secures the growth of start-ups and new business? According to Jaanika Merilo, governments should support start-ups with regulations that foster economic growth and that governments can bring big innovations. Sarah Vormsby believes that the European Commision makes good regulation however sometimes too complex, making it difficult for startups to follow. The same view was shared by Ondřej Malý, who mentioned that the first thing a start-up needs to do is to hire a lawyer in order to deal with the complex regulations. Václav Mach stressed the need of a new legislation for start-ups, so that new business models can compete with already established ones. Governments should focus more on solving issues that people face and they should update their perspective on how the new economics work. In this regard, Taavi Roivas pointed out that governments should not think about trams and buses, but rather about how to take people from one place to another. Thus the approach in regulating inherently disruptive new businesses should be different. In order to fully participate in the Digital Single Market, EU citizens will need new skills and lifelong learning. It is crucial to think ahead now of ensuring that no one is left behind by digitalization in order to avoid the disappointment for some that globalization has caused? According to Václav Mach and Sarah Vormsby, artificial Intelligence can bring new functionalities that would certainly replace some jobs, like those in the call-centres, but would also create new job opportunities and would have an important impact on the working conditions. Taavi Roivas continued this idea by adding that more intellectual skills are going to be needed. Once perceived as a promising strategic partner, Russia has become EU’s main strategic challenge. The speakers that joined the debate made poignant remarks on what is the right balance between containment and engagement. Mark Galeotti (Senior Researcher at Institute of International Relations in Prague) argues that we, as European allies, should be consistent and unified in our response Russia. To this, Anna-Liisa Heusala (Senior Researcher at Aleksanteri Institute) added the remark that we are interdependent and Russia knows this, therefore soft skills should sharpen. Jakub M. Godzimirski (Research Professor at Research Group on Russia, Eurasia and the Arctic, Norwegian Institute of International Affairs) mentioned that in order to engage with Russia we have to know where our interests overlap and where they conflict. In Kristi Raik’s opinion (Research Professor, Research Group on Russia, Eurasia and the Arctic, Norwegian Institute of International Affairs) the liberal interdependence is no longer working in the context of Russia having great power and ambitions while pursuing Real Politik. The closing remark of Anna-Liisa Heusala wrapped-up the discussion into the belief that the best defence is to build our institutions and defend them. The topic of Radicalization in Europe has been treated in a high level ministerial panel. The speeches of the representatives expressed were concerned with how the states should address terrorism across Europe. Non-state actors became more dangerous than traditional ones and European states have to adapt in order to face it. One of the ideas that was brought into the discussion by the representative of the of Foreign and European Affairs of the Slovak Republic is that terrorists are not born, but made. The speakers proposed peaceful responses to terrorism, focusing on Human Rights and critical thinking. Education and inclusiveness are seen as a key factors in prevention of radicalisation: explaining to young generation to pay attention to history and listening to other opinions. In a closing note, the representatives agreed that it is important to prevent young people becoming radical while respecting Human Rights. This session took place at The Embassy of the United Kingdom in Prague, where the speakers debated the status of journalism in the digital era, in connection to political context and how fake news should be addressed. According to Ryan Heath journalists are guardians of facts, rather than of truth. Moreover, he believes that European journalists are lucky for not being jailed, thus signaling the problems that journalism faces in other states with authoritarian tendencies. Chris Morris emphasized that fake news are not a new topic, but technology changed it, making it difficult to control. He also raised the point that journalists don’t commit enough time to fact-checking because so much information is coming from social media. being lazy because of social media and not to fact-checking. In the context of being overflown with information the need for data experts in journalism was stressed out. Tackling the fake news topic, Tom Nuttall regards it as a contribution to public misunderstanding, fostering distrust in journalists. On the other hand, Nuttall points out the positive aspects of digital revolution such as the many perspectives and opinions that we have access to. In Poland, journalism confronts with other problems that distort truth. According to Michał Kokot, Polish media faces financial pressure, which undermines the independence of journalists. The challenges that journalism faces in the digital era remain up to debate. On an overall note, there are propaganda and fake news that have to be confronted, but the rewards of digital age are higher. As Chris Morris pointed out, one cannot silence criticism in the new media, where criticism is what makes journalism so powerful in a democracy. 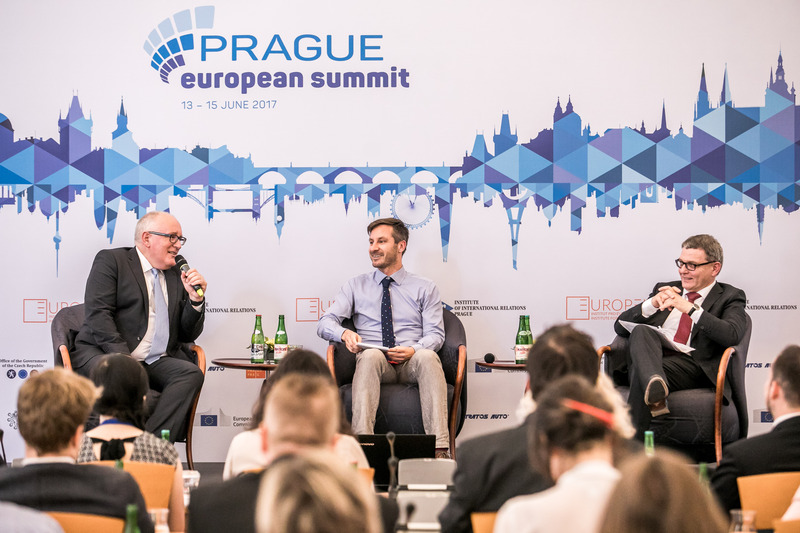 The very last debate of the summit was attended by EU Commission Vice President Frans Timmermans and Czech Foreign Affairs Minister Lubomír Zaorálek. Migration was one of the issues that was greatly argued. Mr. Zaorálek stated that the burden of migrants is unevenly distributed and that it is difficult to achieve balanced distribution of migrants. To this approach, Mr. Timmermans disagreed and called it highly unfair. The Vice President of the EU Commission continued by stressing the common future that Europe has and that it cannot be achieved unless we acknowledge the past. Furthermore, he expressed his views on the young generation that, as the recent election in the UK shows, is heading towards change. The elections in the US and on Brexit woke up a generation that was not uncomfortable enough until then. Mr. Timmermans and Mr. Zaorálek shared the same view that Europeans have too many different narratives and sometimes prejudices about each others and that we should be more sensitive to each other problems. The Prague European Summit reunited people that generated a high-level strategic debate on the future of the European Union and pressing European issues. For three days we have been seeking for common answers to the key challenges that Europe is facing in the economic, social, foreign policy and institutional fields. Nonetheless, the digital future of Europe cannot be ignored, as it already has an influence in journalism, economy and governance. The Prague European Summit international conference is organised by the Czech leading research institutions – EUROPEUM Institute for European Policy and the Institute of International Relations Prague in cooperation with the Ministry of Foreign Affairs, The Office of the Government and The Representation of the European Commission in the Czech Republic. This year’s edition is also supported by the City of Prague and other partners from public and private sector. 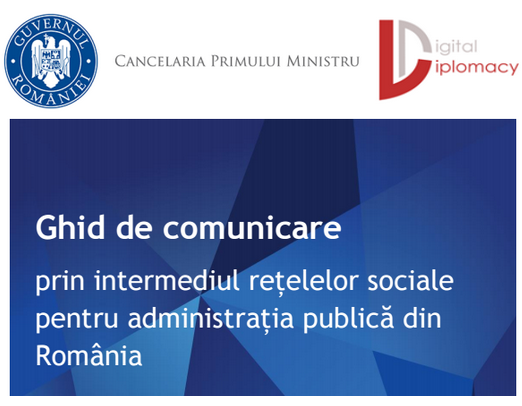 Article written by Ștefania Neagoe, Institute for Digital Government. Ștefania is a graduate of International Relations and European Studies and she is currently studying at the Faculty of Philosophy – UB. Alongside she is involved in civic activism and she is interested in up-to-date communication between public institutions and citizens.